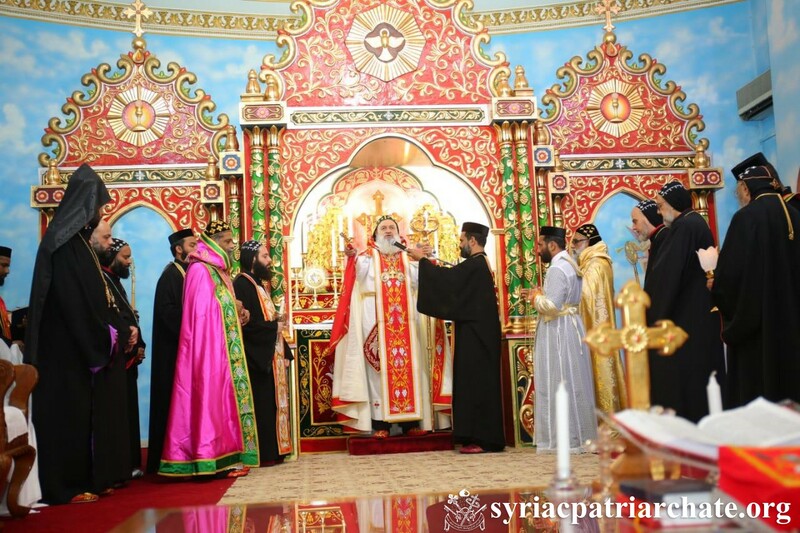 On November 9, 2018, His Holiness Patriarch Mor Ignatius Aphrem II celebrated the Holy Qurobo at St. Mary Cathedral in Sharjah, U.A.E. He was assisted by their Eminences: Mor Gregorios Joseph, Metropolitan of Cochin, and Mor Severius Kuriakose, Chief Metropolitan of the Knanaya Archdiocese. His Beatitude Catholicos Mor Baselios Thomas I, Catholicos of India, and their Eminences: Mor Osthatheos Ishaq, Metropolitan of Mylapore and Delhi and Patriarchal Vicar in the U.A.E., Mor Barthelmaus Nathanael Youssef, Patriarchal Vicar in the UAE and the Arabain Gulf, Mor Philoxenus Mattias Nayis, Patriarchal Vicar in Germany, Mor Clemis Daniel Kourieh, Metropolitan of Beirut, and Mor Timotheos Matthew, as well as Archbishop Mesrop Sarkissian, Archbishop of the Armenian Orthodox Church in the U.A.E., attended the Qurobo.